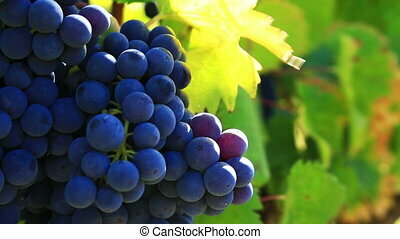 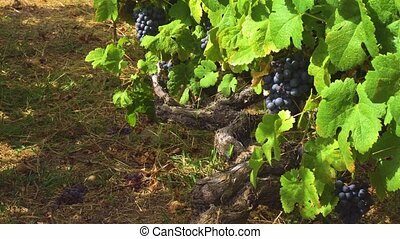 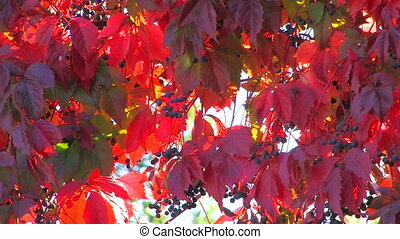 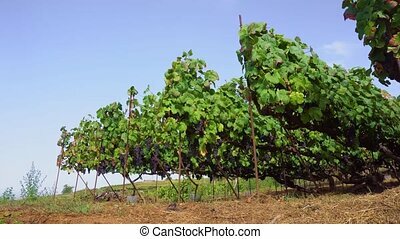 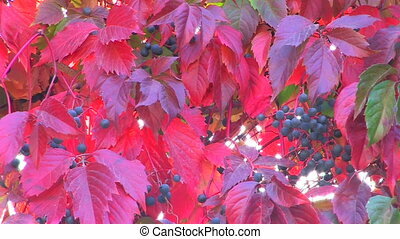 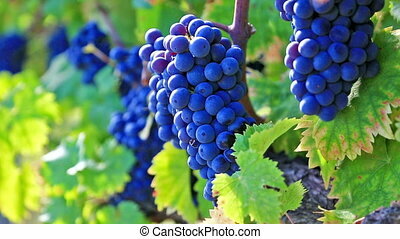 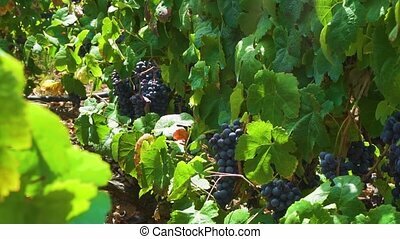 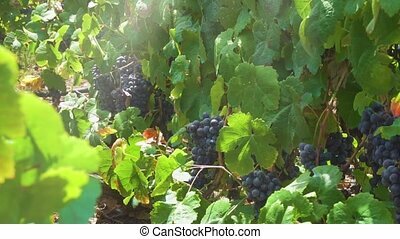 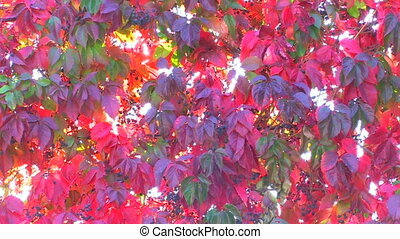 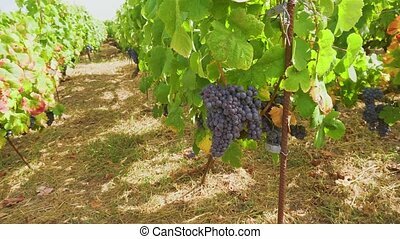 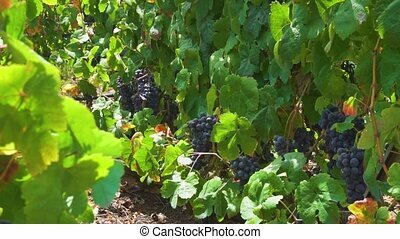 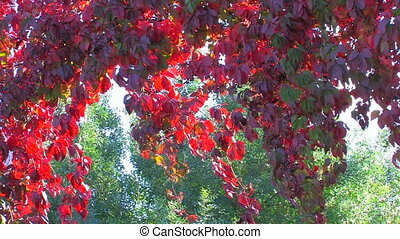 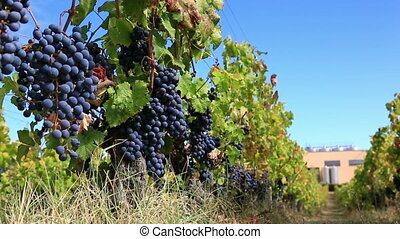 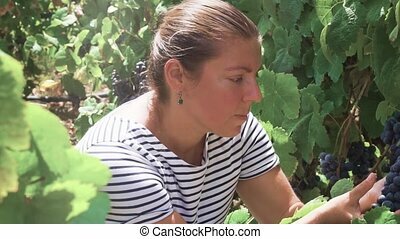 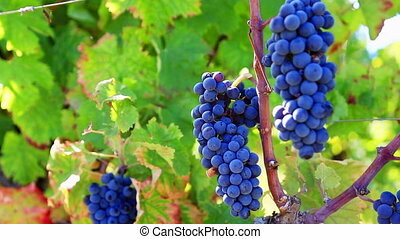 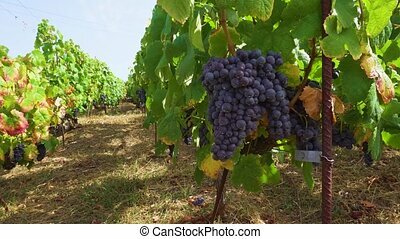 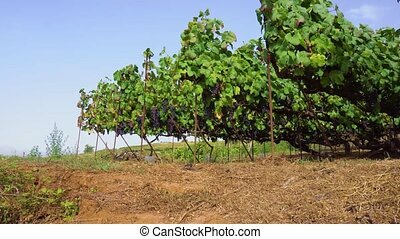 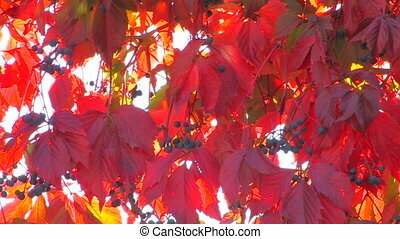 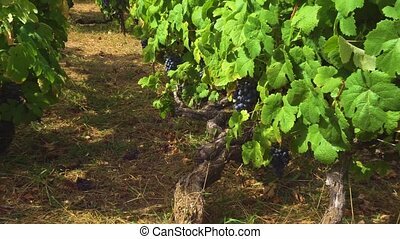 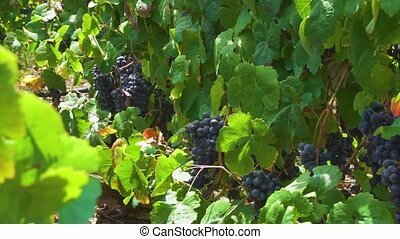 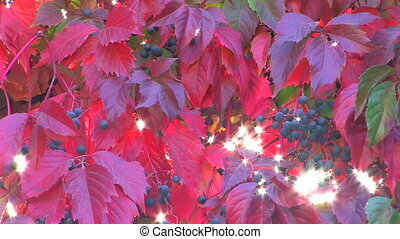 Vineyard with red grape. 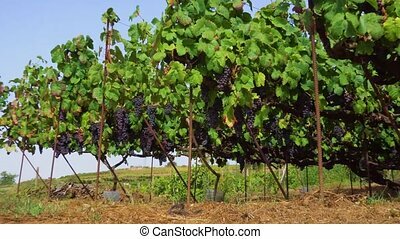 Vineyard green rows with growing ripe of dark red grape, spain. 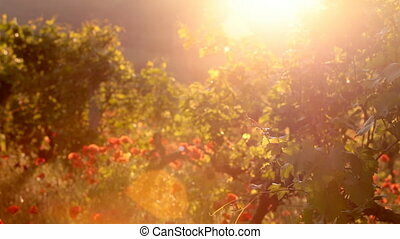 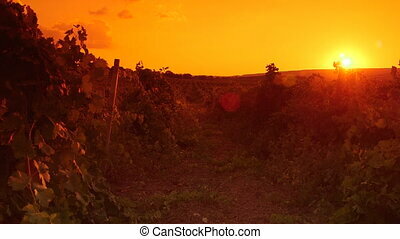 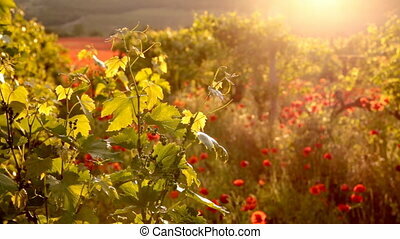 Sunset light with red poppies in a vineyard in Crimea region. 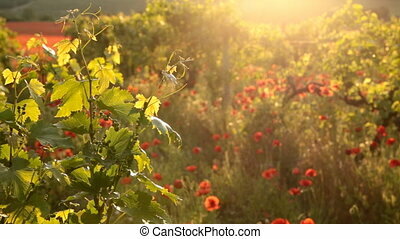 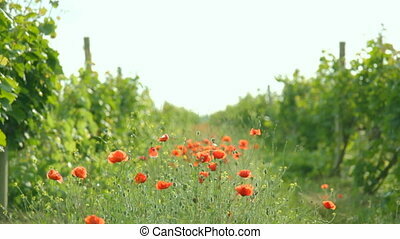 Play of wind with red poppies, growing among vineyard in green weeds in sunny day.